Three years of terrorism since September 11. Chechen Islamicists burn up Russian airliners and shoot schoolgirls–and say they are victims, deprived of the chance for their own autonomous theocracy. Beheaders in Iraq decapitate Americans, Pakistanis, Koreans, Japanese, and Nepalese–only to claim that these are infidels guilty of trying to build roads and bridges. Italian humanitarians and charity workers are kidnapped by Islamicists. In the “holy” city of Najaf, religious extremists bomb innocents, not only without gratitude for those who freed them from Saddam, but full of hatred for those who would bring them consensual government. #ad#Islamic terrorists kidnap French journalists and threaten them with execution, demanding that a sovereign nation previously known for its appeasement of radical Middle Eastern rogue regimes overturn a law protecting secular life in its schools. Hamas “freedom fighters” blow up buses inside Israel and call the dead children Zionists who belong in the sea. Islamic fascists incinerate dozens in Madrid, and claim they have a right to do so because of the Spanish role in ridding the world of the Hussein clan–or was the real rub the Reconquista? Australians in Bali are engulfed in flame by car bombers for the felony of being Western visitors in an Islamic enclave. Meanwhile, back in the United States, as in the major capitals of Europe, Islamic terrorists are arrested periodically, seeking to trump the foul work of September 11. Theocrats blew apart General Massoud in Afghanistan, attempted to kill President Musharraf of Pakistan, and now claim that they plan to do the same to our own leaders here in the United States. A few thousand Islamic males made an entire nation take off their shoes at their airports and changed forever the daily routine of 300 million Americans–and promise they are not done yet. Ask yourself: What do a Russian ten-year-old, a poor black farmer in Darfur, an elderly pensioner in Israel, a stockbroker in New York, and a U.N. aid worker in Afghanistan have in common? In the last three years, they have all died in similar ways: Unarmed and civilian, they were murdered by a common cowardly method fueled by a fascist ideology. The recent slaughters in Russia were the proverbial straw that broke the camel’s back of excusing or explaining away radical Islamic terror. If the Estonians can break away from post-Soviet oppression and free themselves from Russian authoritarianism without slaughtering schoolchildren and blowing up airplanes, then the Chechens can as well–but only if they wish to create democracy rather than an Islamic fascist state. But there is something else going on here besides the cloak of so-called Chechen nationalism. The perversion not of religion per se, but of Islam; the singular method of suicide bombing rarely found elsewhere; the frequent resort to the unique grotesquery of beheading; the now-common display of abject incompetence on the battlefield coupled with craven slaughter of the noncombatant and civilian aid worker. At some point, the leaders of the Western world (if there are any left besides George W. Bush and Tony Blair) are going to look at all this madness worldwide and come to the bitter conclusion that there is a disgusting pattern: Not every Muslim is a fascist terrorist, but almost every fascist terrorist is a Muslim. Killers are not screaming “Hail Mary” when they machine gun children in the back, slit the throat of airline stewardesses, or blow pregnant women up on buses across the globe. And they are not the subjects of condemnatory fatwas in Iran or Saudi Arabia. Their grievance is not really Russian imperialism, or the 5 to 10 percent of the West Bank under dispute, or black African encroachment on Arab land, or purported French insensitivity to legitimate Islamic pride, much less an American “crusade” to harm Muslims. All these issues and the hundreds of others–from the right to build a reactor in Iran to the desire for a semi-autonomous Chechnya–in theory could be discussed, argued about, and adjudicated through democratic dialogue. Much of the Islamic Middle East continues to blame others for its own induced catastrophe, apparently unaware–thanks to the lever of oil it didn’t discover, doesn’t know how to develop, and uses to intensify rather than alleviate its poverty–that its entire culture is becoming an international pariah. Islamic young men on European flights are looked at with distrust; they are not welcome in Russia. China wants none of them. They are wary of visiting India. Australia learned from Bali. The whole world is watching–in disgust. In short, the suicide bomber, the improvised explosive device, the car bomb, the televised beheading, the wacko fatwa, the sleazy propaganda streamer on the Internet, the new cult of death–all cowardly and lethal phenomena–these are now the innovations that the world associates with the Middle East in lieu of gene research, car production, or computer breakthroughs. If you look for gender equity in the Middle East, you won’t find it in Arab Olympic delegations, Saudi schools, or the Iranian government, but in the opportunity for young women to blow themselves up right beside men. Indeed, killing infidels is the nascent women’s-liberation movement of the radical Muslim world. It won’t do to fault a few bad apples–as if when Ziad Jarrah in his red bandanna yelled out “Allah is the greatest” as he crashed United Flight 93 on September 11, he did so alone, to the horror and disgust of the Arab Street, and without a shared ideology. Yet if we look for change from within, the Arab League offers instead the tired victimization from colonialism of some 50 years past or retro European-Zionist conspiracies of the 1940s. It remains mostly silent about past American efforts to free Kuwait, save Bosnians and Kosovars, topple murderers such as Saddam and the Taliban–and is completely mute about the ongoing Arab genocide of black Africans in Darfur. The last three decades have taught Americans that extending aid or help to the Islamic world is almost as bad as warring with it, inasmuch as the Middle East apparently admires strength of any sort but despises magnanimity as decadence. Here at home there will always be a retired Clintonian diplomat or Council on Foreign Relations grandee to assure us that “the Bush foreign policy” is what stirred up the previously sober Middle East or alienated those once courageous French and Germans–as if the last decade did not lead logically to September 11. But there is a problem here that makes our struggle more than just a war against the “terror” of newfound stealthy cells. Libya came clean not out of principle but out of fear. Saudi Arabia is not quite the Saudi Arabia of September 11, thanks to American pressure. There is a reason Dr. Khan was exposed and Pakistan is suddenly doing more to harm than help al Qaeda. The cause of all of this ongoing change is not fear of a windsurfing John Kerry as the next president threatening a more “sensitive” war. True, this war can be lost if we fail to address the hearts and minds of the Arab people–if we fail to offer something better than the false choice between jihad and autocracy. Chechnya of the 1990s proves that perhaps. But it cannot be won by aid and diplomacy alone–any more than the Kaiser, Mussolini, Hitler, Tojo, and Stalin and his successors could be talked or bought out of their extremism. The U.S. military–not NATO, the U.N., or the EU–shut down the al Qaeda sanctuary in Afghanistan and the nightmare of Saddam’s Iraq. It is the only protector of the effort to jumpstart reform in Iraq. Appreciation of that power impressed both Pakistan and Libya. Threat of that force keeps terrorist killers in Lebanon, Syria, and Iran careful not to leave visible tracks among their compliant, but also apprehensive, hosts. India understands that; so does China. Russia also grasps that there is now no appeasement possible with Islamic killers. How the Arab-Islamic world managed to unite over 3 billion nuclear Anglo Americans, Indians, Chinese, and Russians in their suspicions of it will be a case-study in imbecility for diplomatic historians for decades to come. Only the Europeans, in their fear and impotence, still pray that obsequiousness might fend off Islamofascism, as if a Madrid is an aberration rather than a harbinger of worse to come. Only the elite radical American Left is either too timid or too morally bankrupt to condemn the new fascism in the Middle East or the Arab genocide in Sudan, preferring instead to whine about Bush’s “lies” and all the other non-issues that the most secure and leisured people on the planet protest about for an hour or two before calling it a day. Some insist that this war is only against a few “crazy” extremists and that it cannot be won by force. That is half true. In fact, millions of young Middle Easterners are watching Islamic fascists to learn whether to applaud or condemn them–and that decision in places like Najaf, Fallujah, Kandahar, Madrid, Grozny, and Ramallah sadly hinges as much on resolute force as it does on “sensitive” understanding. There are millions we must help, but there are also thousands of wannabe Osama bin Ladens and Mohammed Attas who have neither minds nor hearts that anyone would want to win over. In a war against such killers, it is the proverbial “Them or Us.” Islamic fascists are not crazy–however crazy they sound–but evil, as their evil work confirms. We do not need more lectures about the impossibility of winning a postmodern conflict, about al Qaeda’s not following the laws of Clausewitz or being immune to our way of war. In fact, we can and have defeated them. Keep doing that and the “hearts and minds” of others in the region, whom we are already helping, will mysteriously prove more open to dialogue. Fail again like we did on September 11–and the entire United States Treasury could not buy the good will of an Islamic Street once more gone mad with delight for having felled the Great Satan. 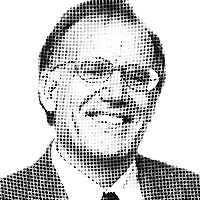 –Victor Davis Hanson is a visiting professor for the month of September and a fellow of Hillsdale College.